Come and enjoy a delicious breakfast spread, prepared by our skilled cooks. This hot meal will include a variety of your breakfast favorites. Brunch will be served 11:00am—12noon. 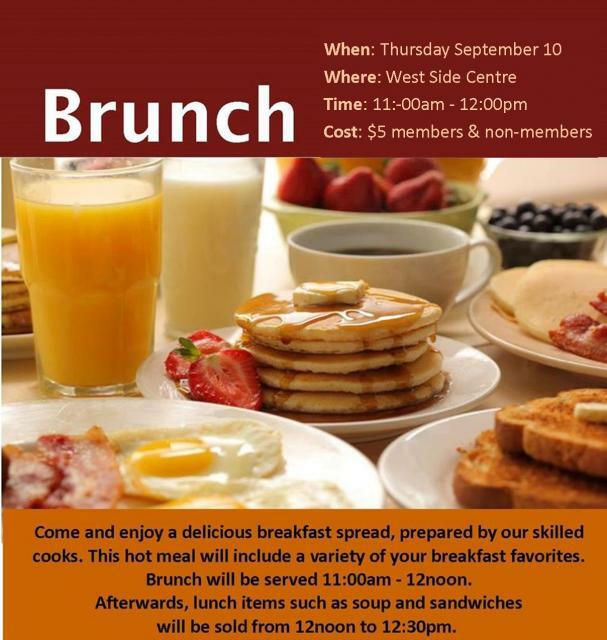 Afterwards, lunch items such as soup and sandwiches will be sold from 12noon to 12:30pm. September is here, so are more members and more programs!! 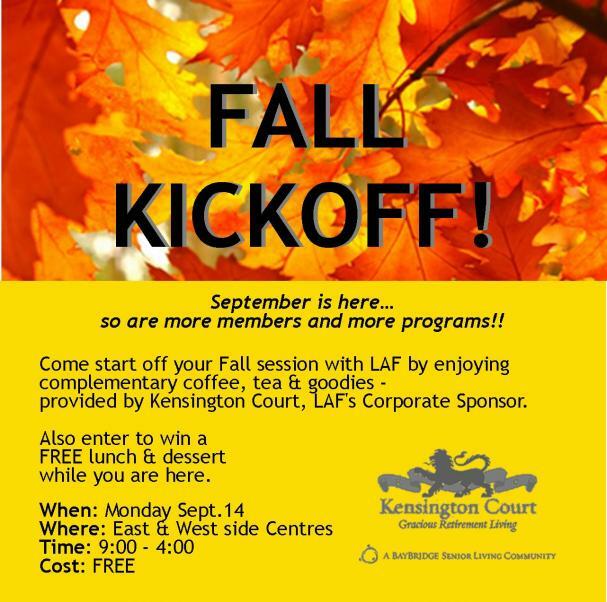 Come start off your Fall session with LAF by enjoying complementary coffee, tea & goodies - provided by Kensington Court, LAF's Corporate Sponsor. Also enter to win a FREE lunch & dessert while you are here. Join CARP Windsor-Essex Chapter 7 for an information and community input session about the Supreme Court ruling on dying with dignity and the proposed federal legislation. You will have an opportunity to hear from a variety of experts and provide your feedback on this important topic. 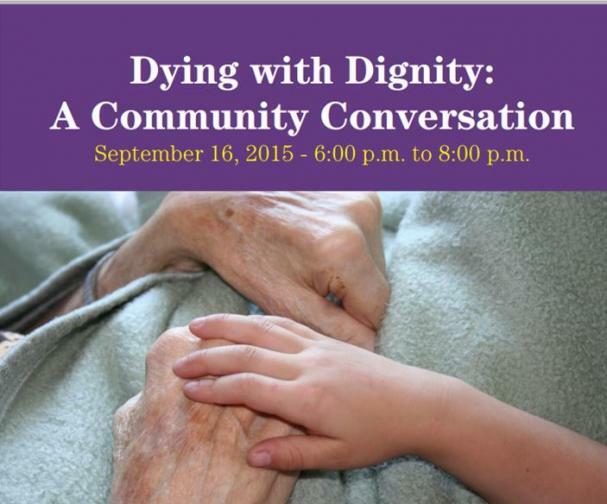 Date/Time: September 16, 2015 - 6 :00 p.m. to 8:00 p.m. The Second Annual West Mesh Celebration will be taking place at Mic Mac Park on Saturday, September 19th from 12:00pm to 4:00pm. The goal of the event is to facilitate the interaction of community residents through an afternoon of engaging activities, lively entertainment, and delicious food. 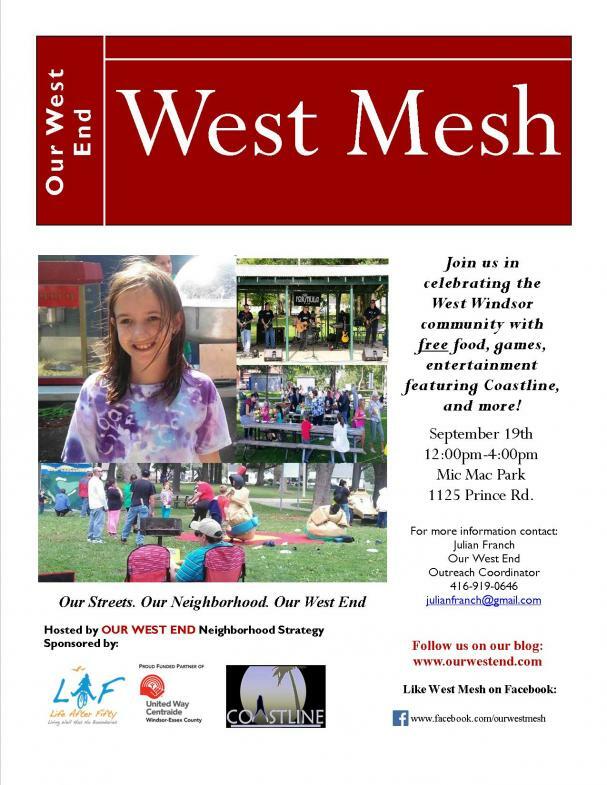 Furthermore, Our West End would like to showcase the community resources available to residents in the West End of Windsor.